It has been some time since I faced my lens at a modified car. I took a short break to focus on some other things, but always knew I couldn’t part ways with my Gas Family for too long. And as you can see by the pictures I was welcomed back with the mother of all features! 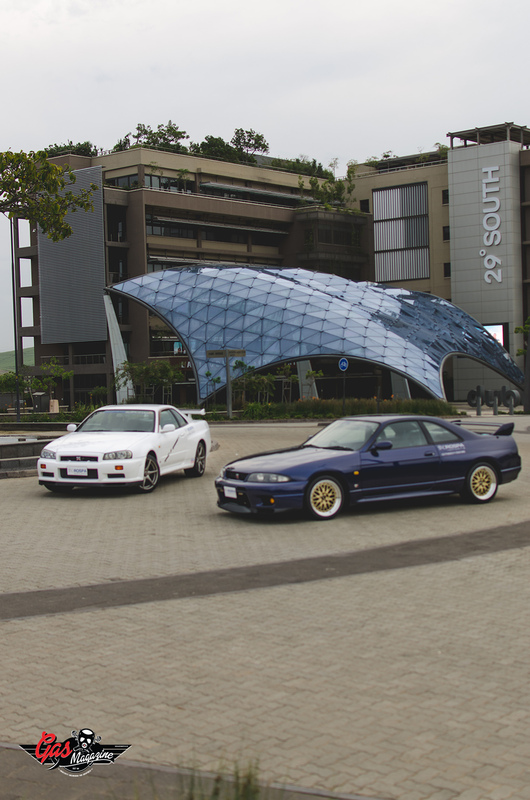 The duo of Rospa Import’s R33 and a recent customer’s R34. The feature was meant to include an Evo but alas the owner was not able to make it. I will admit from the start that I have a soft spot (more like a hard one) for the Evo, so naturally I was a little bummed when I got the terrible news. It is a dream car of mine and one I am sure I will own sometime in the not too distant future. So rest assured that Evo would get a feature, I’ll make sure of it! I met with Himal, owner of Rospa Imports one afternoon at the Dube Trade Port building next to the King Shaka Airport. Rospa Imports for those that are not in the know is a company that brings in some of the best Japanese imports known to SA. When you get your keys, the car is South African registered and licensed. No need to take trips to Swaziland to renew your license or dodge the Po-Po every time to see them. 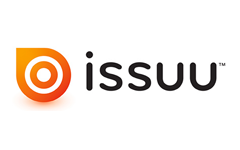 They are registered importers and have exclusive distribution rights from their Japanese supplier. On top of all of that they offer finance and insurance, what more could you ask for? Anyways back to the shoot, Dube City has this crazy cool building and scenery with a little bonsai looking tree slap bang in the middle of the road. Quite fitting for these Japanese Legends. The shoot turned out to be a cool little meet and great with a couple like-minded petrol heads. We all snapped away and filmed a few clips and had a good time admiring the skylines. 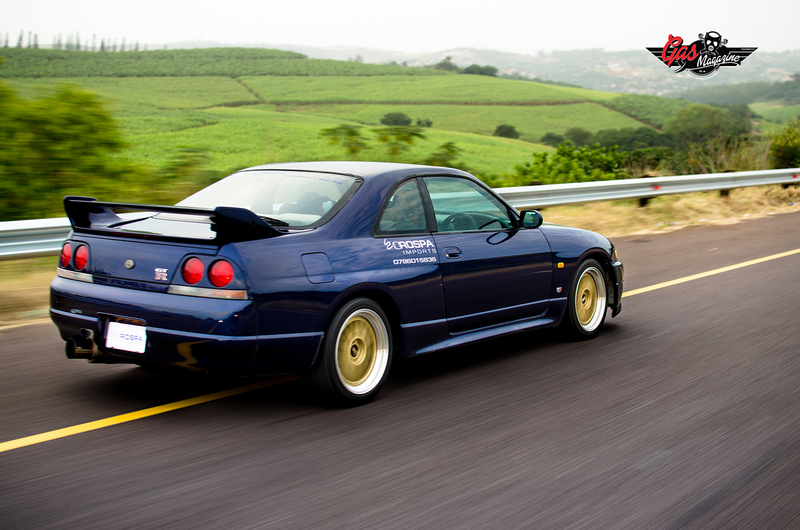 Both are epically cool but the paintwork on the R33 is out of this world! It has this underlying purple tinge that screams F**K me now (editor don’t edit)! It is a factory colour believe it or not, Limited run Midnight Blue, very rare though. The wheels are original BBS LM, with more BBS stamps than your grandfathers stamp collection. Gold centered and polished dishes just do this car right. It could do with a little more low and some spacers but Himal already battles to keep the front lip attached. Himal has an impressive list of mods, Tein Fully adjustable coilies, Apexi intake and exhaust, upgraded N1 Spec turbo with a Reytec Tomei ECU gives this Godzilla a respectable 410WHP. On the other hand the 34 is as stock as stock could be, bar a recent decat. 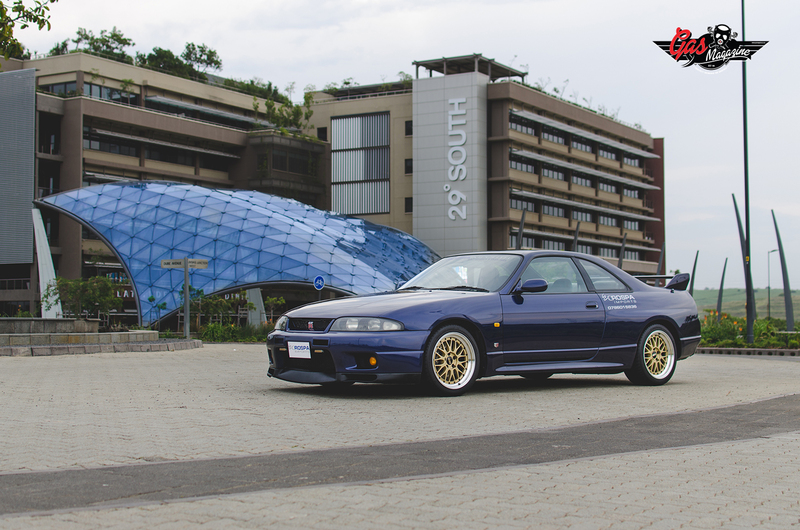 A few simple tweaks to the stance would have this fifth generation skyline grabbing a lot more attention. It is actually rather embarrassing how much wheel gap there is, that is why it is at the top of the “to do” list for Niketan Samenathan. 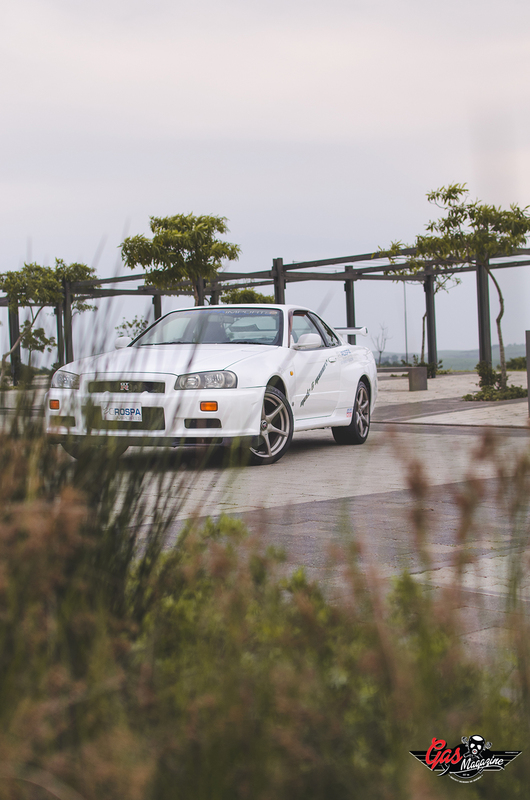 Look, even though this GTR is stock, it is no slouch and has an impressive 0-100km in 5.2secs. It has a 6 cylinder twin turbocharged 2.6L 276bhp’d RD26DETT motor and as stock runs 324mm disk and 4 pot brembo calipers. 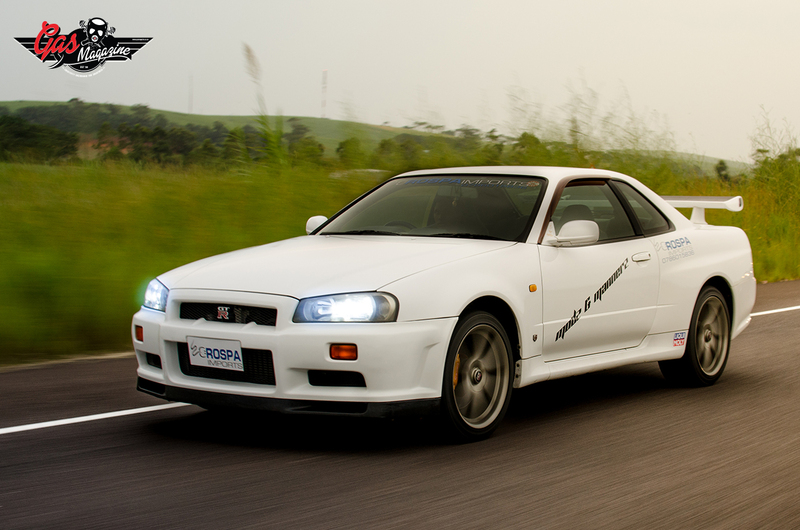 Its suspension is stiffer than the stock R33 and in all aspects is a technically better car. Special thanks must go out to Rodricks from Bubble Car Wash for all the detailing. 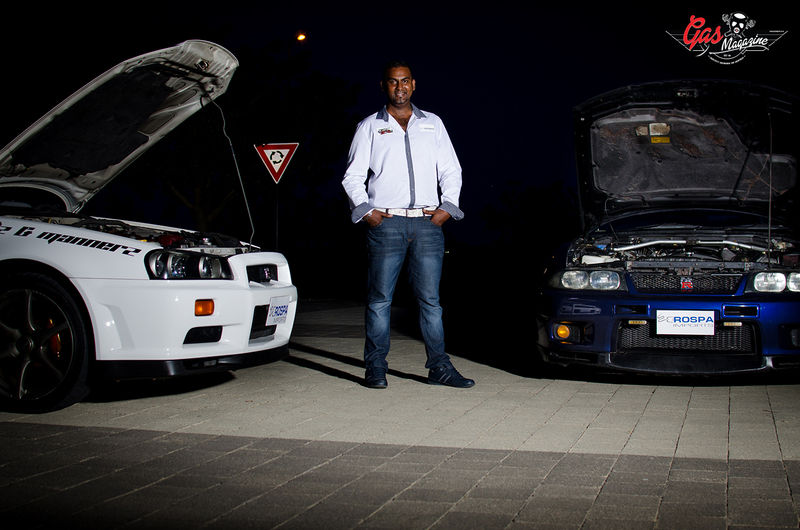 Steve Clark of No Sweat Racing for all the time spent getting Himal’s R33 just right. Yash and Harry from GAS Mag for all the awesome help with Rospa’s marketing and Himal’s dear friend’s Manny and Bradley for all the help with his car.